Mantas Bartuška, currently CEO of the state-run oil product and liquefied natural gas terminals operator Klaipėdos Nafta (Klaipėda Oil), has been appointed as a new CEO of Lietuvos Geležinkeliai (Lithuanian Railways, or LG) and Romas Švedas, an independent expert and a former energy minister, has been appointed as chairman of the state railway company's new management board. The management board of the country's largest company, which has lately come on the radar screen of law-enforcement, approved the appointments at its first meeting on Friday, marking the first time since independent hat a new minister has replaced the management of a state-owned enterprise so quickly, within three days. "The first task for Bartuška is to carry out a full legal and financial audit, address the public procurement issues, cooperate with law-enforcement and turn LG into a company we could be proud of," Transport Minister Rokas Masiulis said in a news conference. 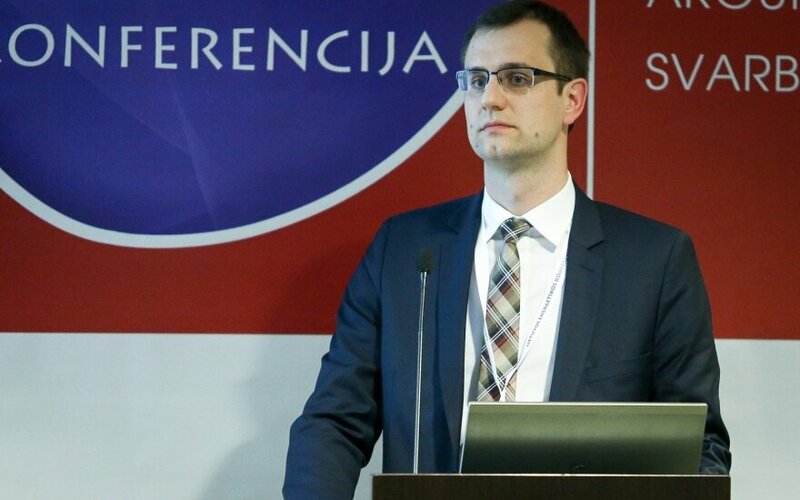 Bartuska, 32, in September 2014 took over as CEO of Klaipėdos Nafta from Rokas Masiulis following the latter's appointment as the country's energy minister. Before that, Bartuška, who has a degree in management and business administration, held the post of director of the finance and administration department at Klaipedos Nafta. His previous career included the position of a consultant with Ernst and Young. The business daily Verslo Žinios and the Financial Analysts' Association in 2014 named him the Chief Financial Officer of the Year.